Updated 12/20/17: See updates in the Historic Tax Credit Section. As we head into the last month of 2017, a number of critical issues related to historic preservation are looming on the hill—from the future of the historic tax credit (HTC) to some good news connected to the protection of World War I memorials. Update 12/20/17: Determined Advocacy Preserves the Historic Tax Credit! Early on the morning of Saturday, December 2, the Senate passed its version of the Tax Cuts and Jobs Act by a largely party-line 51-49 vote. The bill will now head to a conference committee, where the House and Senate will spend either days or several weeks resolving differences between their respective proposals. As a result of strong advocacy from around the country, the Senate bill includes a restored 20 percent HTC, payable over five years. This is an impressive achievement given that the House bill completely repeals the HTC and the initial Senate legislation proposed to reduce it by half. Through the leadership of several senators—particularly Sen. Bill Cassidy, R-La.—the HTC is well positioned heading into the final stages of the tax reform debate. Despite vigorous advocacy and interest from several senators in fully restoring the HTC provisions, the opportunity to make those changes in the final Senate bill did not materialize. As the tax reform process advances, the National Trust for Historic Preservation and our partners will continue to look for opportunities—either in the current bill or in subsequent tax legislation—to further strengthen HTC provisions. In the meantime, it is important that the preservation community continue its outreach to Congress as the tax reform conference committee assembles the final legislation. Urge members to support the Senate HTC provisions. On Monday, December 4, President Donald Trump announced dramatic reductions to the Bears Ears National Monument and the Grand Staircase-Escalante National Monument. President Trump cut more than a million acres from Bears Ears and reduce Grand Staircase-Escalante by half. This unprecedented rollback of protections will imperil cultural resources and landscapes that are sacred to many tribes and reflect thousands of years of human history. The National Trust has long fought to protect the world-class cultural resources at Bears Ears, and we will challenge this unlawful reduction in federal court. We have also endorsed legislation introduced by Rep. Ruben Gallego, D-Ariz., on December 1 to enlarge the existing Bears Ears National Monument to include the full 1.9 million acres originally proposed for protection by tribes. Read National Trust President and CEO Stephanie Meeks’ statement on Bears Ears. In addition to fighting to protect these nationally significant cultural landscapes, the National Trust is working to assure the integrity of the Antiquities Act. While the National Monument CAP Act (H.R. 3990) is not expected to come before the full House of Representatives before the end of the year, the House did narrowly pass legislation, Minnesota's Economic Rights in the Superior National Forest Act (H.R. 3905), which seeks to prohibit new national monument designations on national forests in Minnesota. We are continuing work with our partners to fight these and other bills hostile to the Antiquities Act. Update 12/7/17: Following the President’s announcement about dramatic reductions to the Bears Ears National Monument, a broad coalition of Native American, conservation, and historic preservation organizations, outdoor industry, scientists, and outdoor recreationists sued the Trump Administration. Read the full statement. Facing a December 8 deadline, congressional leaders indicate that another short-term continuing resolution is in the works to give lawmakers additional time to complete work on the FY18 spending bills. Though the outcome is far from certain, we do have some insight into how Congress may treat funding for historic preservation priorities when—and if—it passes new appropriations bills. The House approved its version of the FY18 Interior Appropriations bill in September. 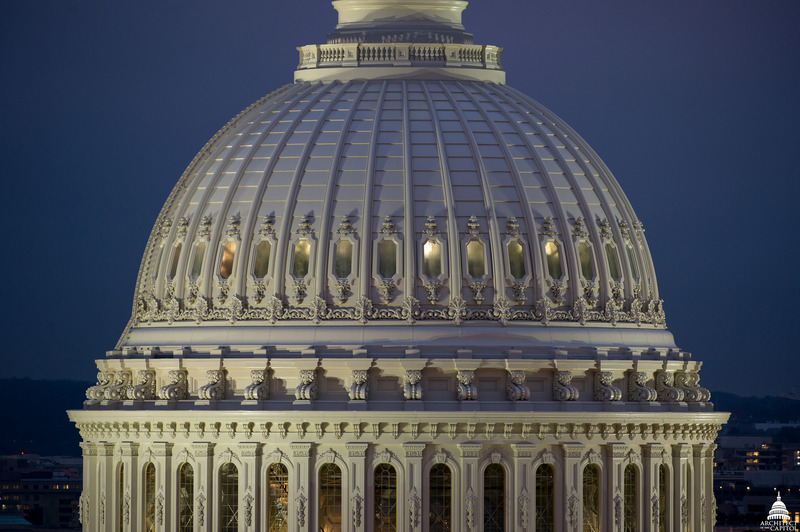 While the Senate has not acted on its version, the Appropriations Committee released the chairmen’s recommendation for funding levels in late November. While priorities like the Historic Preservation Fund (HPF) would see some decrease from FY17 levels in the House bill and in the Senate committee draft, Congress appears poised to reject the drastic cuts to the HPF and other key programs—like our national conservation lands, national parks, the National Endowment for the Arts, and the National Endowment for the Humanities—recommended in the president’s budget request. As victims of hurricanes Harvey, Irma, and Maria continue to assess damages and plan rebuilding efforts, the Trump administration and Congress are considering another emergency supplemental hurricane recovery package. The administration has proposed a $44 billion package that includes an additional $17.5 million for the HPF, to be used exclusively to accelerate Section 106 permitting reviews. National Trust staff have met with administration officials and congressional appropriations staff to provide background information on previous disaster packages, which have included significant HPF grant funding to help hurricane victims rebuild their historic properties. Congress and the administration expect to enact at least one and possibly two additional hurricane disaster recovery packages, and the National Trust and our partners are working to secure additional emergency HPF grant funding and an increase to the HTC to help communities rebuild. As the U.S. Department of Transportation continues to finalize implementation of the FAST Act comprehensive transportation bill, signed into law by President Barack Obama in December 2015, the Trump administration is reportedly gearing up to unveil its proposal for a major infrastructure package following congressional consideration of tax reform. While the prospects of major infrastructure legislation remain in question as we head into a midterm election year, the National Trust has continued to meet with members of Congress, congressional committee staff, and Trump administration officials to advocate for the protection of historic preservation guidelines, including Section 4(f) and Section 106 reviews for transportation and infrastructure projects. In addition, National Trust staff and partner organizations continue to press Congress and the administration for increased funding for historic resource surveys and digitization of existing cultural resource data, which would make the project review process for historic resources more efficient. On November 9, 2017, Rep. Tulsi Gabbard, D-Hawaii, introduced the Honoring World War I Memorials Act of 2017 in the U.S. House of Representatives. The act would establish a grant program for rehabilitating memorials dedicated to the millions of Americans who served in World War I. After the war, communities across our nation constructed unique “living” memorials with utilitarian functions, often connected to local culture and landscapes. These included auditoriums, gymnasiums, parks, bridges, and other cherished community resources. In Hawaii, for example, the Territorial Legislature constructed the only memorial in the country that takes the form of a saltwater swimming pool—the Waikiki War Memorial Natatorium. Named a National Trust National Treasure in 2014, the Natatorium remains the most recognizable representation of Hawaii’s participation in World War I and a testament to the islands’ swimming traditions. Today, the Natatorium and many other war memorials are closed to the public or suffer from disrepair. The deterioration of these significant places associated with our military history reflects poorly on our nation. As America contemplates the centennial of the war, join us in urging members of Congress to rise to the occasion and support the Honoring World War I Memorials Act of 2017. Learn more about the legislation and read our official statement.